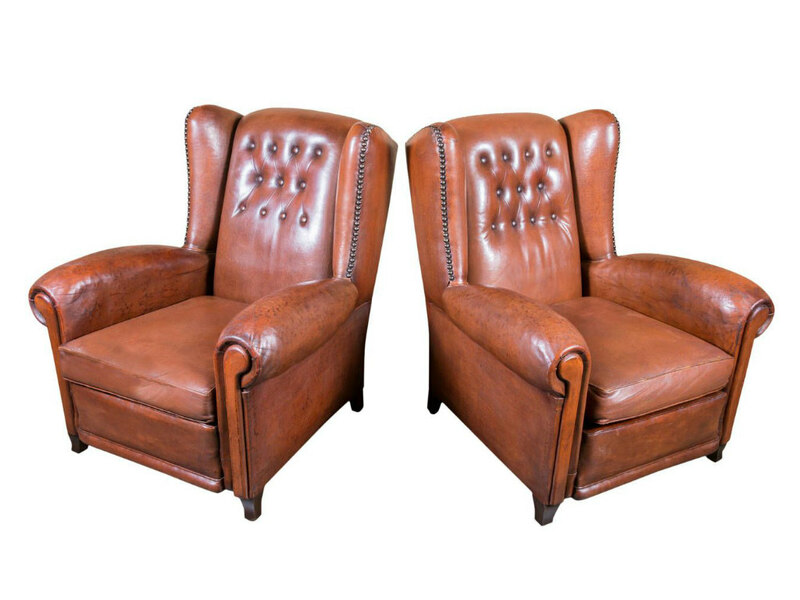 Handsome pair of French leather tufted wing chairs with reversible velvet cushions and nailhead trim, having rolled arms and a supportive seat. 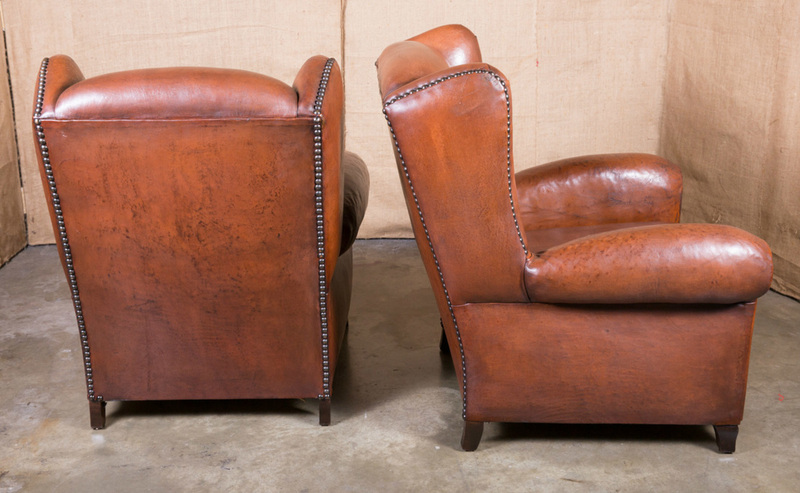 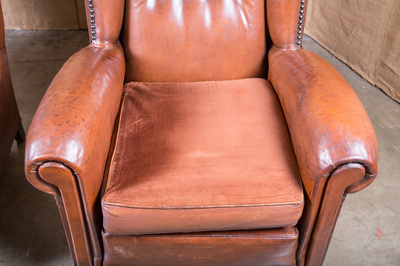 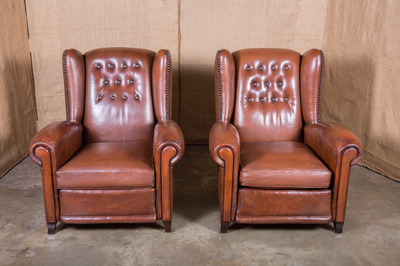 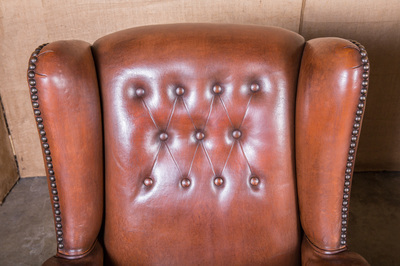 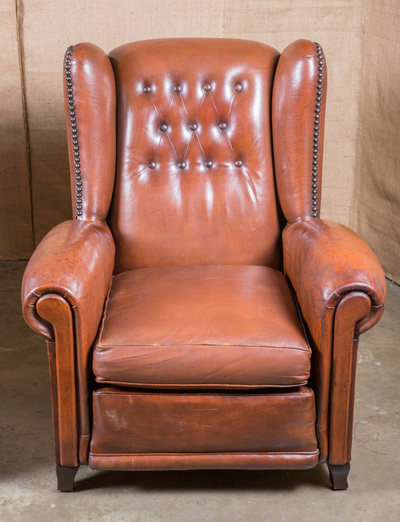 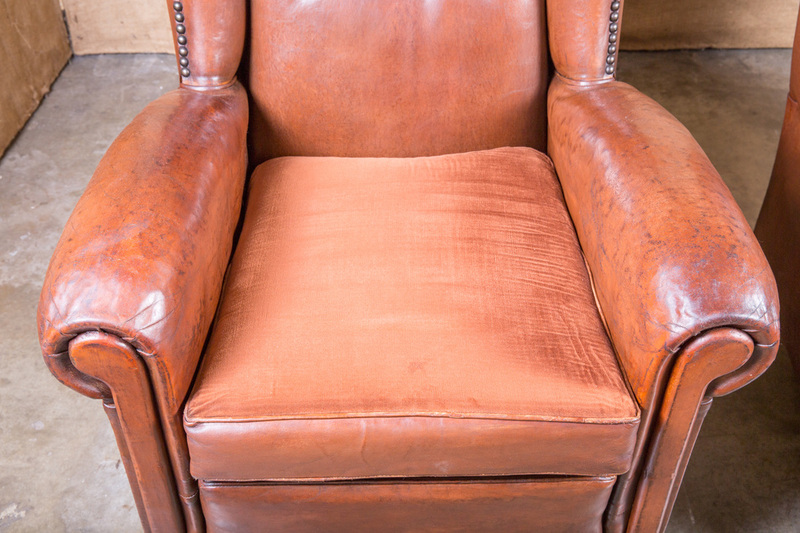 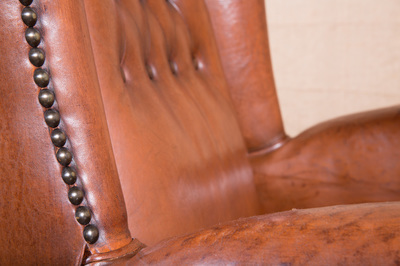 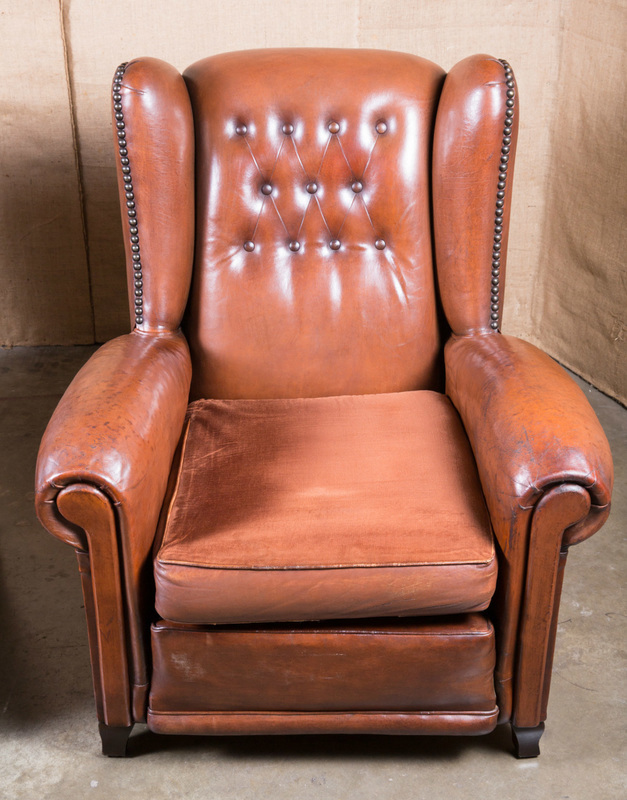 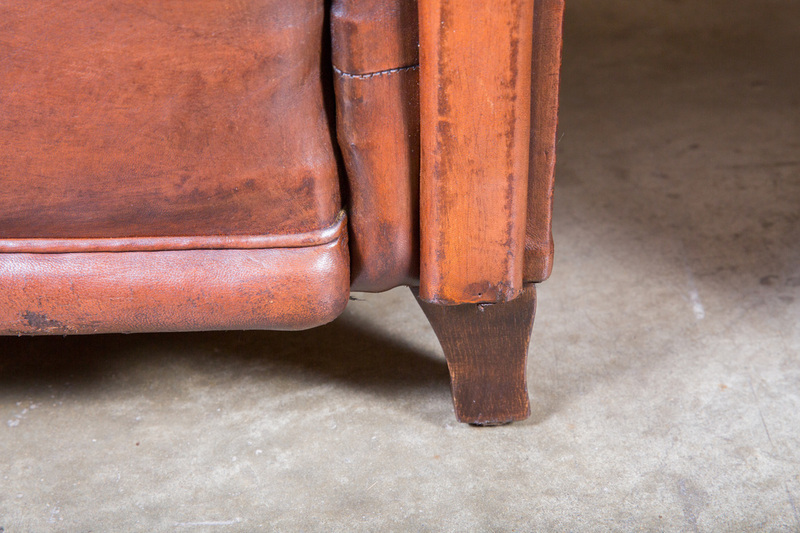 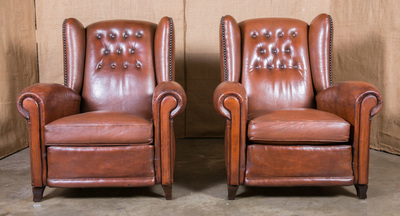 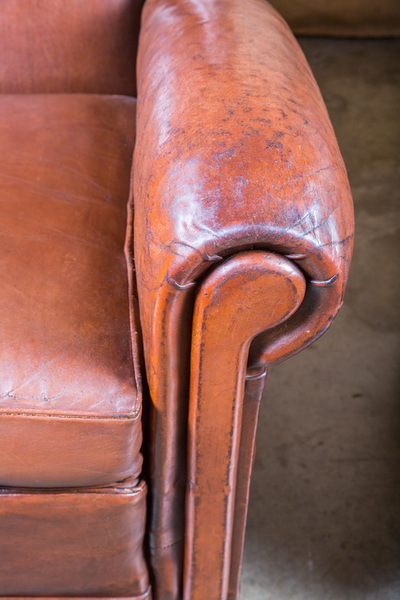 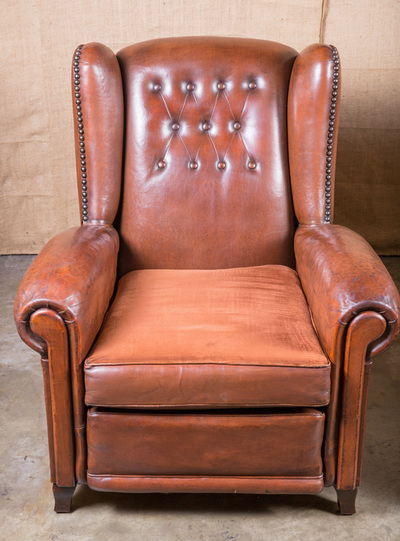 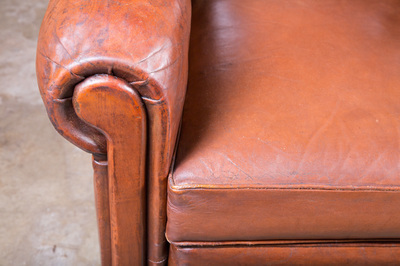 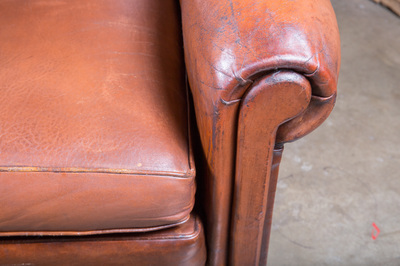 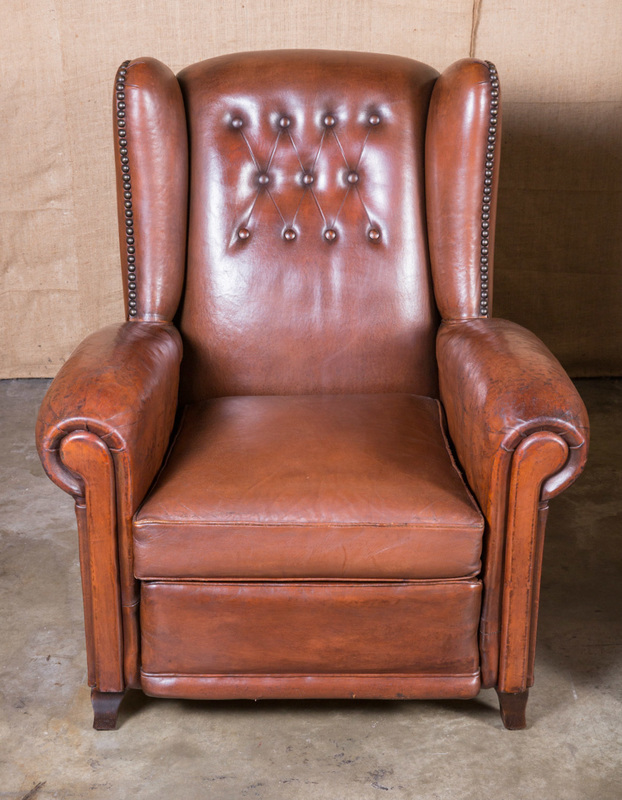 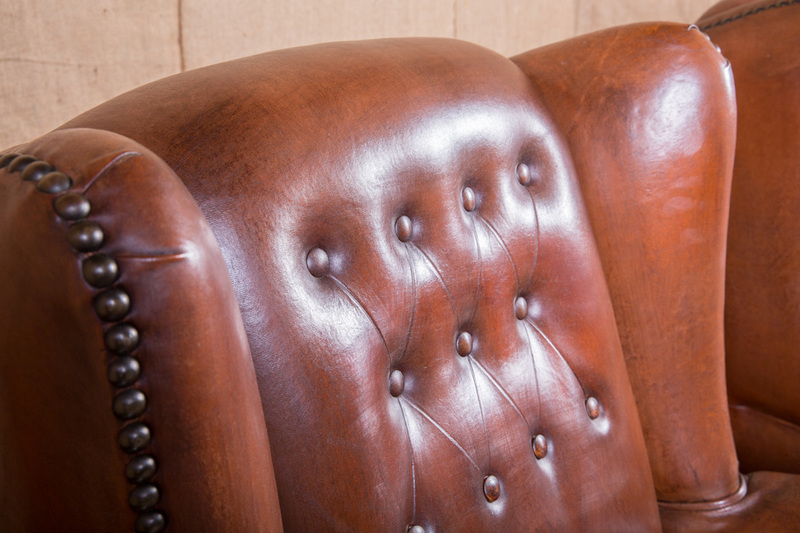 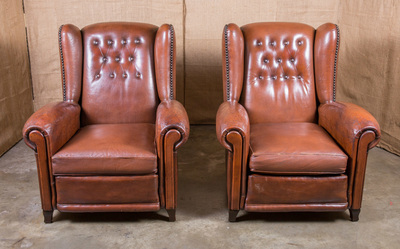 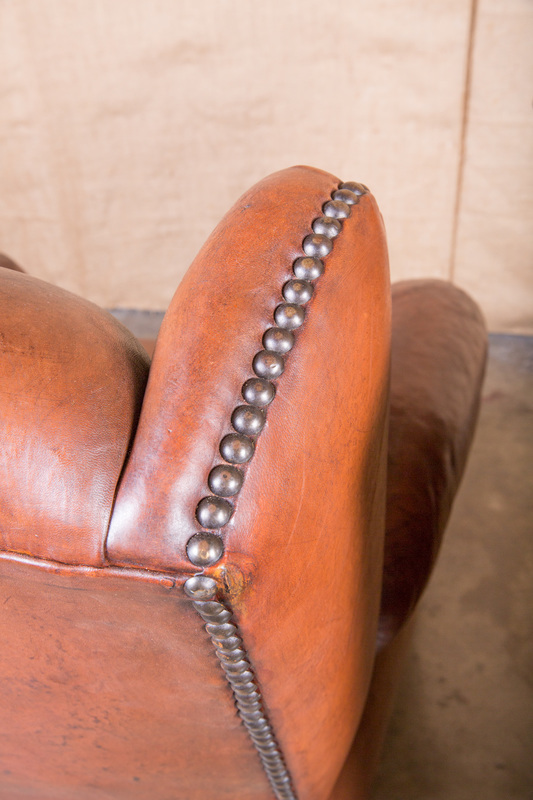 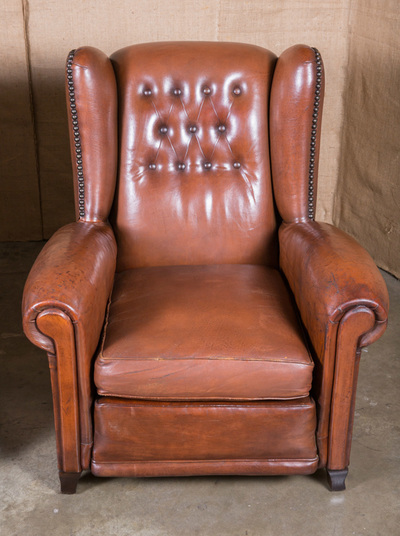 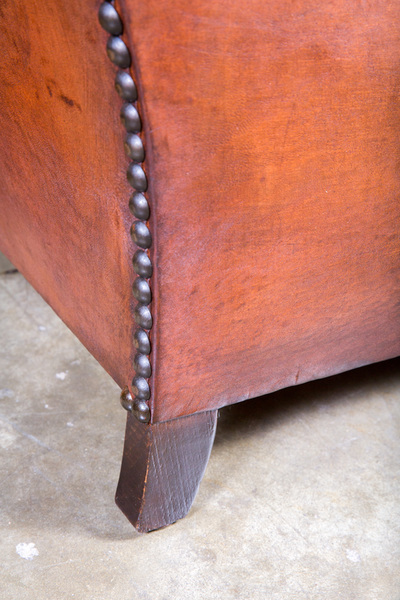 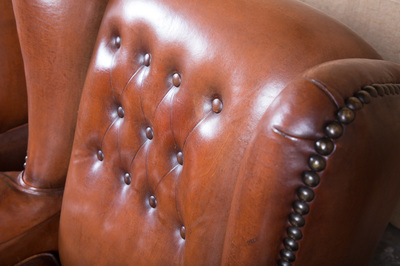 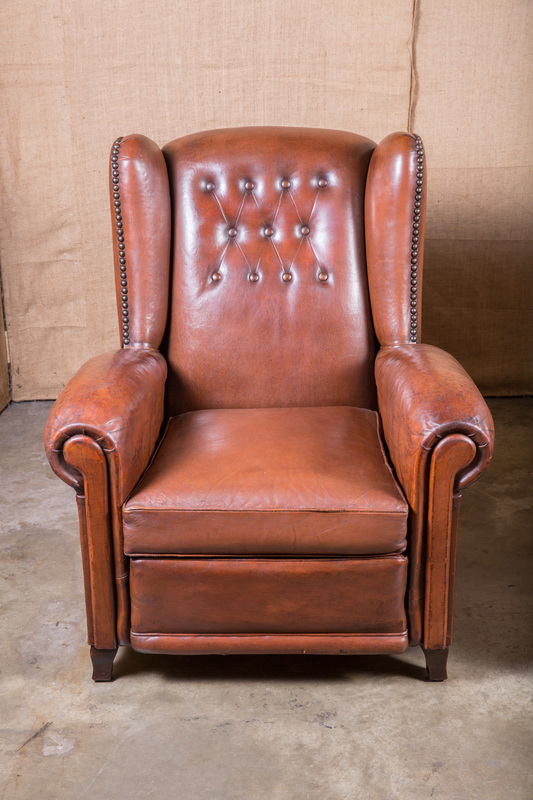 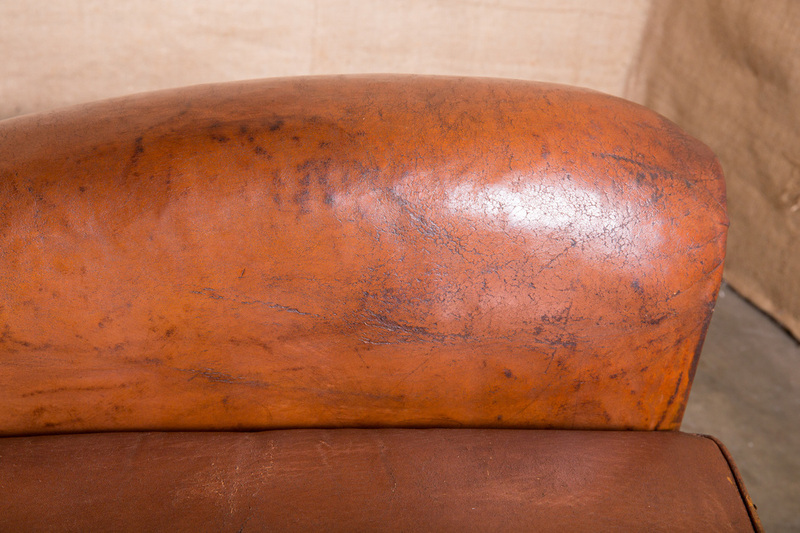 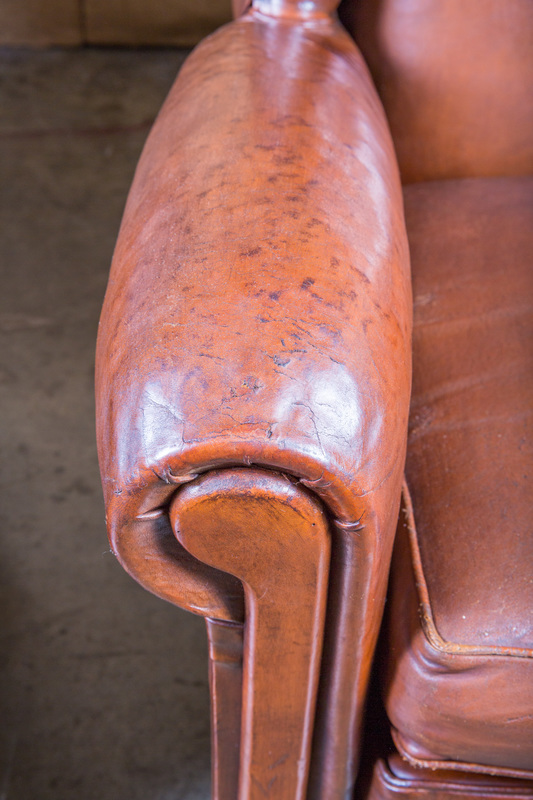 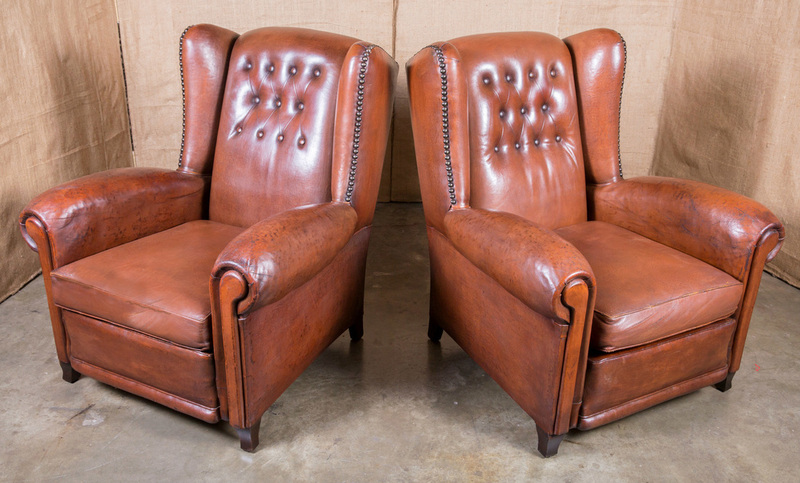 Relax as you sink into these comfortable armchairs with wonderful aged patinas that exude luxury and character. The high back is an added bonus. Circa 1930s. overall w - 34" seat w - 21"
overall d - 39" seat d - 22"